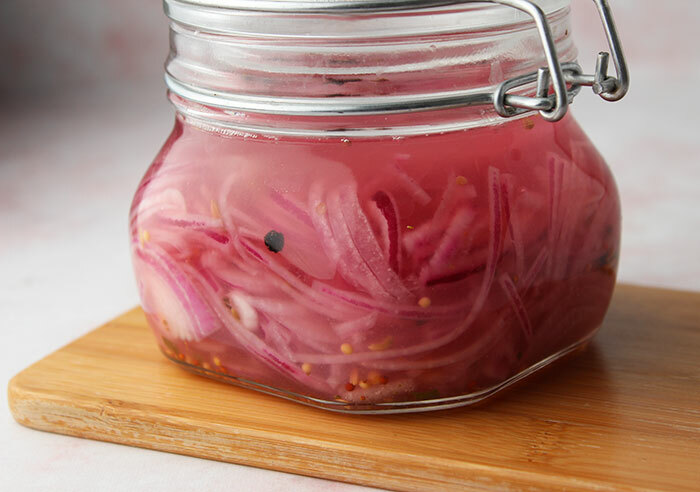 Making your own lacto-fermented pickled red onions is a super easy process. All you need are a few basic ingredients: onions, salt, pickling spices and a culture starter. Honestly, the hardest part about making pickled red onions is chopping the onions themselves. But only a few tears later you will have a packed jar ready for your salty brine blend. As an alternative to hand chopping, if making a large quantity, you can also use a food processor with the slicing blade attachment. Red onions are our personal favorite of the Allium vegetables for their vibrant magenta pigmentation that’s high in anthocyanin content. After fermenting them for about a week they will develop a nice soft sweet pickled taste that also takes on whatever spice flavorings you incorporate into the recipe. For more about onions and their nutritional benefits, visit our onion nutrition page. 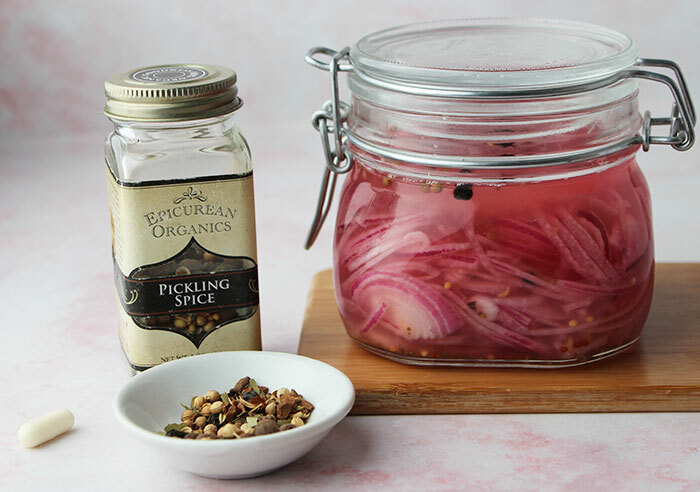 In this one, we use a pickling spice purchased from Mountain Rose Herbs, but you can also mix up any combination of spices you may have in your pantry or spice rack. 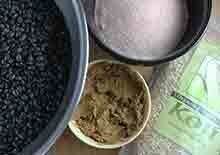 We have used dill seeds, caraway, black seeds, mustard seed, fennel, ginger root and cumin seeds. 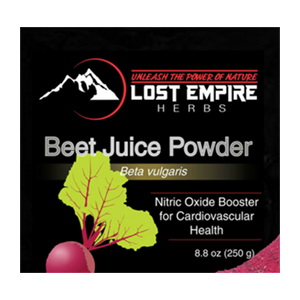 One thing we always include in our homemade pickled red onions these days is red beet juice powder. We tried it a few years ago and noticed it provides a sweeter taste as well as turns them a fun pink color, which incidentally looks great on salads or meals if you’re into food stylizing. 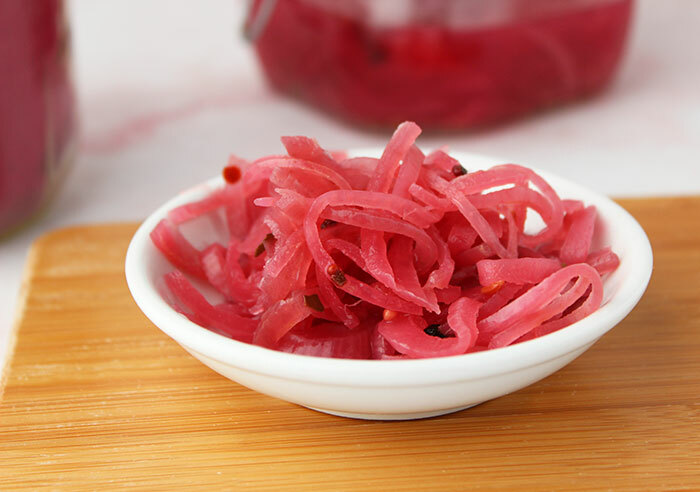 Pickled red onions also make a nice alternative to sliced onions in their raw state, which can sometimes be harder to digest for some people. 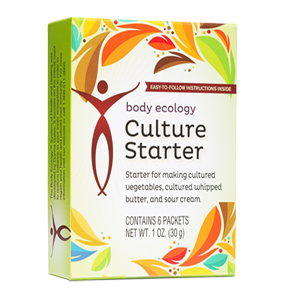 We always choose to culture foods and condiments like this one rather than using standard pickling methods. 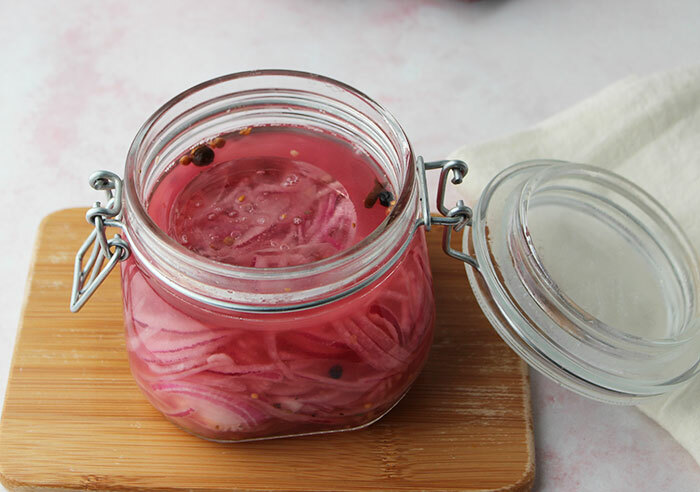 Lacto-fermented onions are a little different than traditional-style pickled onions, which mainly involves a kinda of tincturing process in vinegar, salt and sugar. In our fire cider recipe, we use onions infused in apple cider vinegar but actually discard them afterward and drink the fire cider liquid as this is where the flavor and health-enhancing components are concentrated. 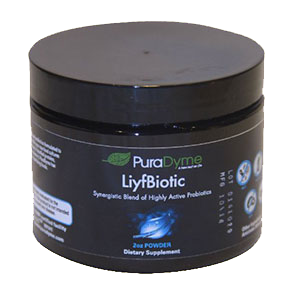 When packed tightly in a jar or vessel under the liquid brine in an oxygen-free environment, the beneficial strains of lactic acid bacteria or LAB's can proliferate. This is most ideally achieved at a room temperature of 68-72°F (20-22°C). 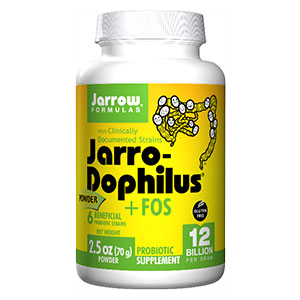 This age-old technique eliminates pathogenic varieties and acts as a natural food preservative. Lactic acid bacteria are either rod-shaped (bacillus) or spherical (coccus) and are distinctly characterized by their tolerance for acidic environments with a lower pH. 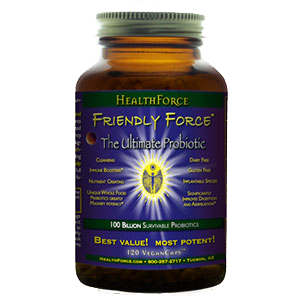 This gives them the upper hand against other strains of not so friendly bacteria that can't withstand high lactic acid concentrations. The best part about lacto-fermentation is you are creating a LAB-friendly food, is this case probiotic-infused onion slices! You can make this recipe in small or larger batches, depending on how often you use them up. 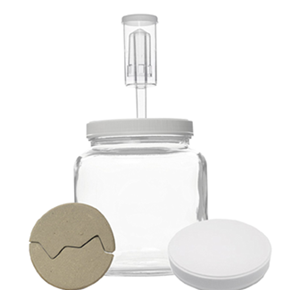 Here are two recipe conversions for a half quart jar and a one quart jar. 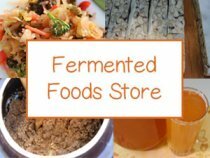 It is important when making fermented foods to thoroughly wash all utensils, jars and chopping boards to avoid potential contamination. 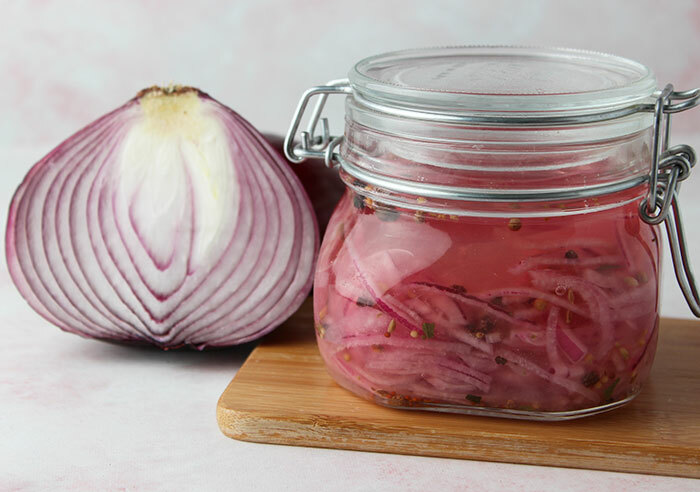 From our experience, fermented onions rarely seem to grow any surface molds, but you can use an air lock cap if you'd like to help keep out air-borne species. We do always use glass crock rocks ("fermentation weights") on top to ensure they are fully submerged in the brine solution. Prepare your brine ingredients first so you can immediately transfer your potent raw sliced onions into the liquid. In a jar place all ingredients (beside garlic) and water; secure a lid on top, shake it up and set aside. 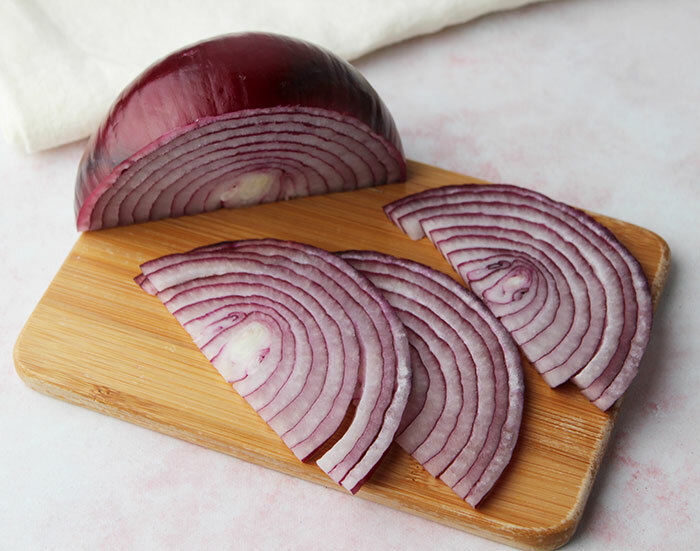 Slice of both ends of your red onions and remove the outer peel. 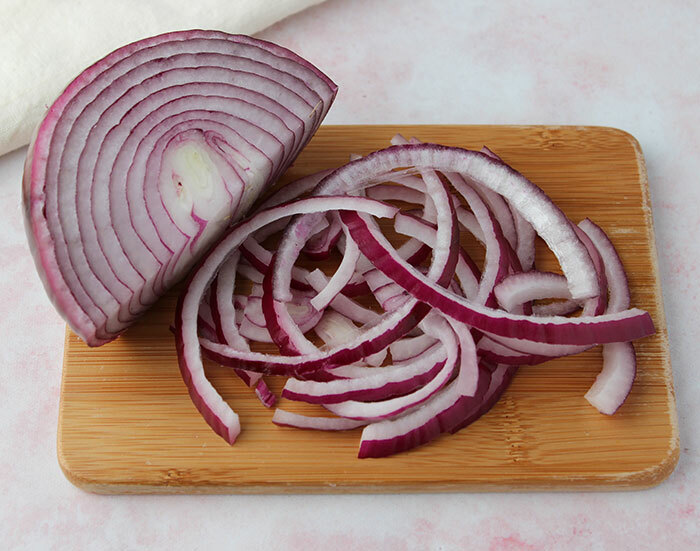 With a sharp knife, cut in half and then lengthwise to create your onion slices. In your fermentation jar, place your clove (or cloves) of garlic at the bottom and packed in your onions tightly using the back of your hand or a utensil. 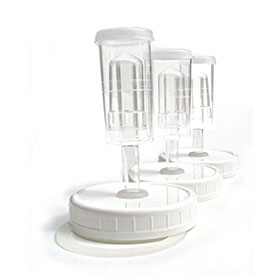 We usually break them up a bit to create loser pieces which with help to speed up fermentation slightly. Now, take your jar of brine and pour it over the top of the packed onions. Using a secure lid, turn the mix upside down a few time to incorporate brine. 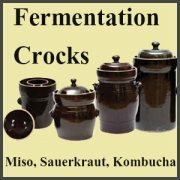 Place crock rocks or weights, if you are using any, to completely submerge onions underneath the brine solution. 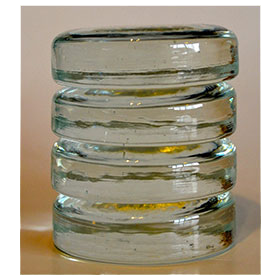 For a soft pickled texture, allow to ferment for at least 7 days at a room temperature between 68-72°F (20-22°C). 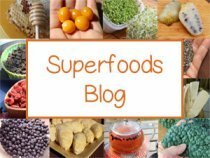 Taste test periodically or ferment for longer if desired. We store our pickled red onions with brine in a sealed jar in a cool pantry location or they can be stored in the fridge. Enjoy them as a sweet and savory accent atop meals or on salads.